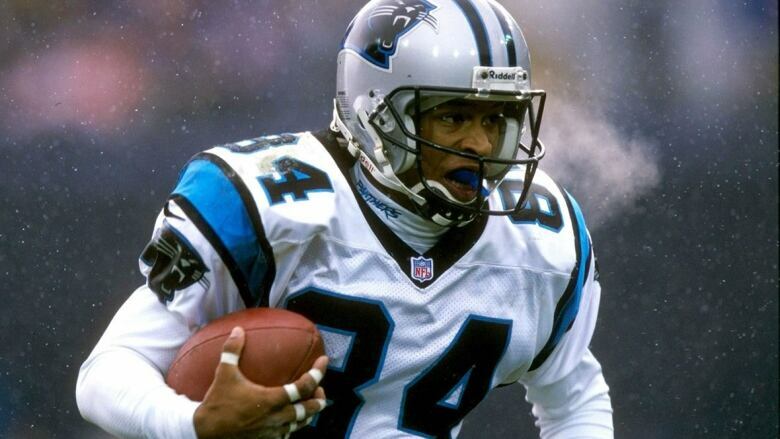 Former NFL wide receiver Rae Carruth was released from prison Monday after serving more than 18 years for conspiring to murder the mother of his unborn child. Carruth did not speak to reporters as he left the prison wearing a knit cap and an unzipped jacket on a chilly morning with temperatures in the low single digits Celsius. There was a smattering of applause as Carruth got into a white SUV and was whisked away from the prison. Last week, he told WSOC-TV in Charlotte in a telephone interview, "I just truly want to be forgiven." Carruth went on to say he was "somewhat frightened" about his release, adding that "I'm nervous just about how I'll be received by the public. I still have to work. I still have to live. I have to exist out there and it just seems like there is so much hate and negativity toward me." Carruth has repeatedly said he wants to have a relationship with his son, who remains in the custody of his grandmother, Saundra Adams, who has raised him since birth. Adams had previously said she would be there when Carruth got out of prison, but she was not present on Monday. The team released Carruth and the NFL suspended him indefinitely after he fled the Charlotte area after posting $3 million US bail and was found by federal authorities hiding in the trunk of a car in Tennessee, about 500 miles from Charlotte. Panthers centre Frank Garcia, who was teammates with Carruth for more than two seasons, said players were stunned when they heard the news of Carruth's possible involvement in the murder, about 20 miles from the team's downtown stadium in the affluent section of South Charlotte. That's a far cry from the four-year, $3.7-million contract Carruth signed with the Panthers after being drafted — although he never collected all of that money since he was released in the third year of his deal.